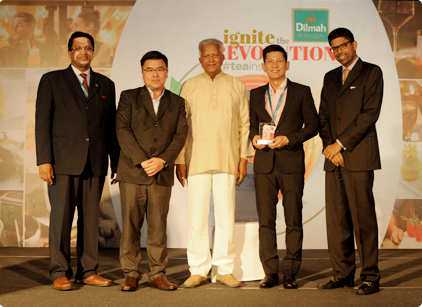 Lam Soon Singapore was honoured with the Special Achievement Award 2016 by Dilmah at the Dilmah Global Partners Conference 2016 in Colombo, Sri Lanka. This was in recognition of the strong growth performance in 2015 and the continuous positive growth for the past 5 years. Dilmah brand is a single origin tea from Sri Lanka and Lam Soon Singapore has been their distributor in Singapore since 2010.